Maryland is back on the map as the premiere distiller of rye whiskey. 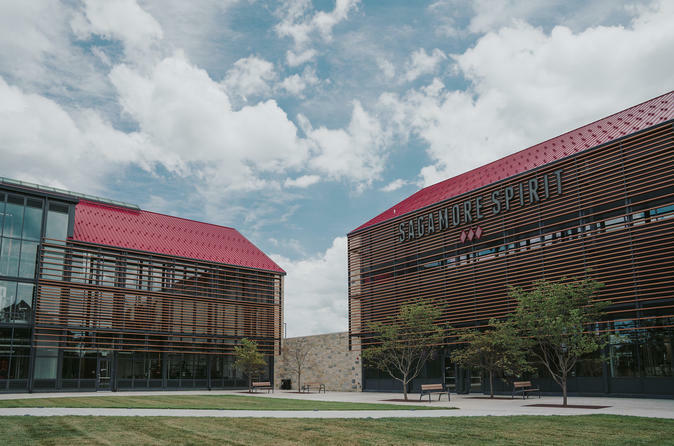 In this waterfront distillery 1-hour guided tour, in Port Covington, you can learn how is triple distilled, this six-time award winning rye whiskey. Choose from one of seven departure times when you book, and have a taste at the American Straight Rye Whiskey and enjoy a sample of the fantastic whiskey chocolates. By taking this world-class guided Tour you will discover why Sagamore Farm spring-water is so important to each bottle of rye, and learn how, this six-time award winning rye whiskey, is triple distilled. The tour path is altered to accommodate the routine of a working distillery, expect a sense experience with the temperature fluctuations and strong odors that result of the making of the award winning rye whiskey. Guests over 21 years, can taste the American Straight Rye Whiskey at the conclusion of the tour, and enjoy a sample of the fantastic whiskey chocolates.